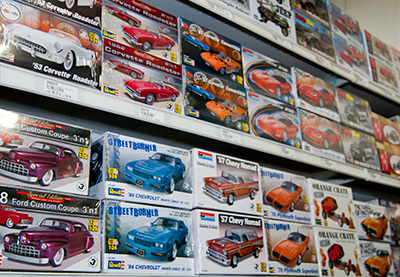 Harbor Hardware carries a large selection of hobby models including airplanes, cars, trucks, and boats. Stop by our store to pick out your next project. For the advanced hobbyist or for the beginner hobbyist, Harbor Hardware offers a wide variety of model building kits. Our large selection consists of airplanes, boats, cars, trucks, and more. Brands like Revell, AMT, and Midwest line our shelves giving any model builder the best model kit choices available in Door County, WI. Model building kits are great for all ages and can be a fun way to spend family time together on your Door County vacation. If you're looking for a specific model kit, come in and talk with our friendly sales associates, we'd love to help you find it. Pick up your next model building kit at Harbor Hardware!